Delmarva Rubber Company supplies a variety of hose products including water, air, chemical, food, agriculture and petroleum. We stock hoses from 1/4” in diameter through 10” in diameter. 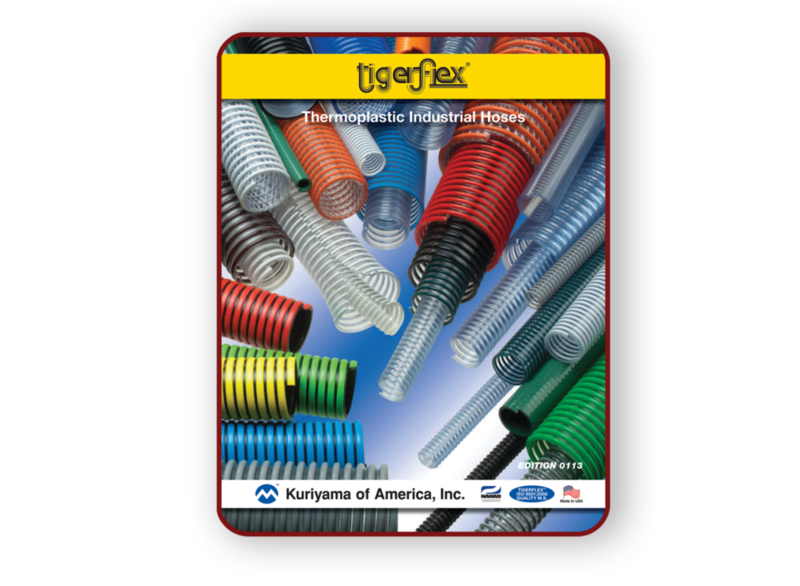 Delmarva Rubber Company represents the entire line of Kuriyama™ hose products including industrial, Tigerflex™, Kuri Tec®, layflat and Piranha®. We provide metal and stainless steel Teflon® lined hose assemblies. We also stock the full Dixon Valve & Coupling Company fitting and accessory line, including cam & groove fittings in all metals, crimp fittings, steam, sanitary and industrial. Delmarva Rubber Company’s capabilities for custom hose assemblies include Custom Crimp CC60 crimper for ID sizes 3/4” through 4”. We air band assemblies using Band-it S750 pneumatic tooling and Century Brass pneumatic crimper for air hose & garden hose assemblies. As an added service we provide hydrostatic testing, documenting and tagging for all assemblies to help our customers maintain and track the performance and safety of their hoses.